One of the best professional moving companies in Laguna Beach is Mover’s Best! You’re already at our website, so you’re primed to access superb moving services which are customized in order to meet your specific needs. We provide excellent packing and unpacking services, which are optional. You may also pack things up yourself. If you do, we’ll give you free packing materials. Also, our technicians are great at assembly/disassembly and we offer this optional service, also. As you can see, we have the full range of offers. Choose one or all of them in order to personalize your experience, according to your needs and budget. In addition, you should know that we are a bonded company. This means that we can be trusted with your precious belongings. When you choose us, you’ll be able to purchase insurance for the move. We provide a host of insurance options, from basic to mid-range to high-end, so there is something for everyone’s preferences and budgets. It’s always best to choose a company which is bonded and which offers insurance options for a range of clients, so why choose any other Laguna Beach movers? After you hire us, you’ll see why we are so popular in the area. Our loyal customers know that we deliver on our promises and help them to get their possessions where they need them to be. What do you want from a Laguna Beach moving service? If you want a safe, secure company which is established and an integral part of the community, you’ll find that we deliver. We are a Laguna Beach professional movers with a strong and positive business reputation. Some companies don’t have our proven track record, so why take chances? Once you’ve contacted us, you’ll see that we also offer impressive customer service which is friendly, competent and helpful. We believe in communication and we always give our valued clients a voice. Also, we’re so easy to get in touch with. 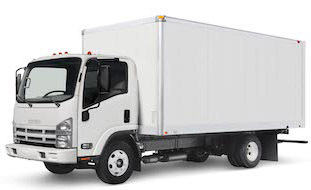 You just need to call or email in order to book the appropriate team and truck. We have lots of employees and we’ll always have time for you. Hopefully, this detailed guide has helped you to get the inside scoop on what we do and how we deliver for customers. The key to finding out more and booking your own move is contacting our team today. We are always standing by to help new and returning customers. Once you’ve contacted us, we’ll find the right vehicle for the size and scale of your move and then arrange for the right amount of technicians. Whether you’re moving down the street or moving across our great nation, you’ll find that we’re able to handle the job and that every job is important to us, no matter how large or small. At Mover’s Best in Laguna Beach, you are important and you will be more than just a number. We’ll treat you respectfully and also respect every possession that you own.